The present day Shenandoah Valley Railroad was originally started in 1866 as the Valley Railroad. Fort Defiance Depot on the Shenandoah Valley Railroad. 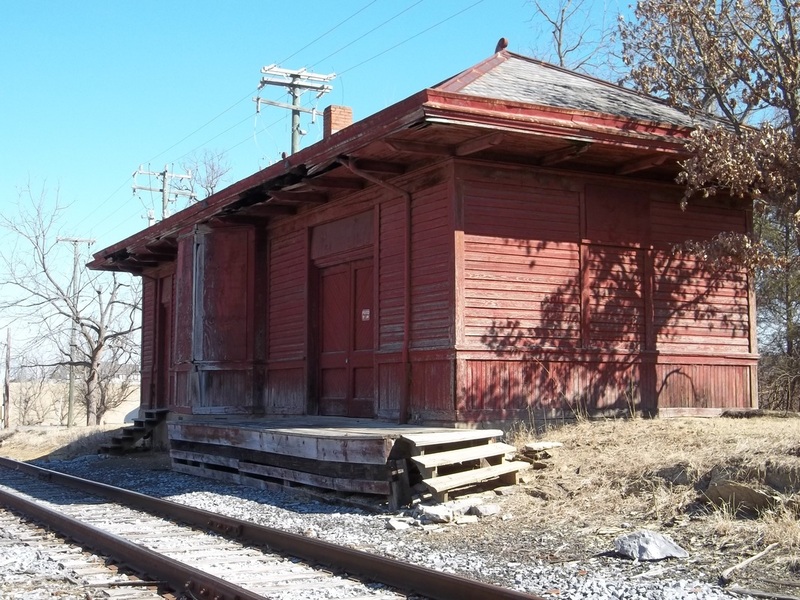 In this post Civil-War era, the intention was to build tracks between Harrisonburg, Virginia and Salem, Virginia and to eventually connect to the Virginia and Tennessee Railroad and the B & O Railroad mainline. The B & O provided financial support, supplies and personnel in order to construct the tracks and run the railroad. The tracks between Harrisonburg and Staunton were completed, but costs quickly escalated, forcing construction to a halt and trains to cease operations. The Valley Railroad with the B & O shortly partnered with the Shenandoah Valley Railroad in 1867 for financial support to continue construction. However, due to disagreements between the Shenandoah Valley Railroad and Valley Railroad, this deal was terminated. Following years of increasing financial troubles, combined with leadership issues, the partnership between the Valley Railroad and B & O ended. The Valley Railroad attempted to work with other nearby railroads to complete construction between Salem and Harrisonburg, but with the state of the economy at the time, this was not financially feasible. The Valley Railroad finally ended in 1942 when the Staunton to Harrisonburg section was sold to the Chesapeake & Western Railroad. The section of track from Staunton to Pleasant Valley, just south of Harrisonburg, is now privately owned and operated under the name of the Shenandoah Valley Railroad LLC; this name being adopted from the historic Shenandoah Valley Railroad from the late 1800’s. The present day Shenandoah Valley Railroad interchanges with the Norfolk and Southern Railroad and the Buckingham Branch Railroad connecting the line to CSX.